Some big news straight from the LEGO Newsroom! There’s been a bit of a change in the heirarchy. Before I get into that, though – don’t forget the Golden Ticket giveaway I’m running for Bricktober Perth 2017! It’s going to be a bumper year, so if you’re in town during October 7 and 8, why not enter and see if you can come for free! The LEGO Group today announced that its Board of Directors has appointed Niels B. Christiansen, 51, as CEO of the LEGO Group effective October 1, 2017. Christiansen was most recently CEO of global industrial technology company, Danfoss, a position he held for nine years until end of June 2017. Christiansen replaces Bali Padda, 61, a long-standing LEGO Group executive, who will assume a special advisory role with LEGO Brand Group. 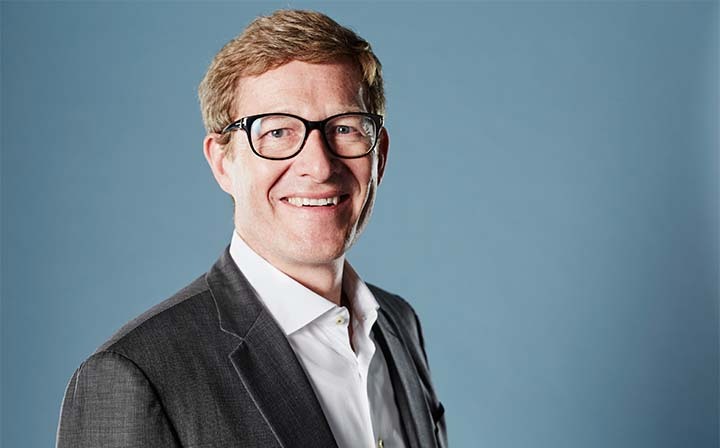 Jørgen Vig Knudstorp, Executive Chairman of LEGO Brand Group said, ‘Niels is a great leader who delivered outstanding results while CEO of Danfoss. There, he transformed a traditional industrial company into a technology leader. His experience in digitalisation and globalisation, implementing a transformative strategy, and creating an agile, high performing, international team will benefit the LEGO Group. The Board is confident that under Niels, the LEGO Group will continue to flourish and bring play experiences to more children around the world.’ Knudstorp said the transition to a new CEO occurred more rapidly than the Board had anticipated. “Bali has been part of the LEGO Group family for the past 15 years. He played an integral role in the turnaround of the LEGO Group and during his time as CEO created a solid foundation from which to continue to transform the company. He is a great friend and a wonderful ambassador for the LEGO® brand,” said Knudstorp. Niels B. Christiansen has spent more than 25 years in business leadership. He began his career at management consultancy, McKinsey and power tools manufacturer, Hilti, and became CEO of GN Netcom aged 33. He joined Danfoss in 2004 and became CEO in 2008. During his tenure, the company doubled in size to 39 billion DKK, increased its global footprint and transformed its portfolio in response to changing customer demands. Danfoss is a family-owned, Danish-based global technology company which specializes in infrastructure, food supply, energy efficiency and climate-friendly technology solutions. Niels has broad experience leading large, global high-tech companies. He was most recently President & CEO of Danfoss A/S, a position he left in June 2017. Niels joined Danfoss in 2004 as Executive Vice President and a member of the Executive Committee for Danfoss A/S. He became Chief Operating Officer in 2005, Vice-CEO in 2006 and President & CEO in 2008. Niels began his career as a management consultant at McKinsey & Co. Following this he joined Hilti Corp as Vice President Corporate Development. In 1997, he joined GN Netcom, moving to the role of President & CEO in 2000. In 2003, he was appointed Group Executive Vice President at GN Store Nord. He is Chairman of the Board of William Demant Holding A/S and Axcel and a Member of the Board of AP Møller-Maersk A/S and Technical University of Denmark (DTU).